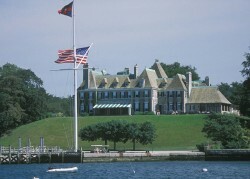 An extremely prestigious event hosted by the New York Yacht Club. The New York Yacht Club (NYYC) was started on July 30, 1844, when John Cox Stevens invited eight friends to his yacht “Gimcrack”, anchored in New York Harbor. The nine, who met nearly 170 years ago, resolved to form the NYYC and named Stevens commodore. Racing sailboats has long been a theme of the NYYC. In 1851, the yacht “America”, owned by John Cox Stevens, arrived at the Isle of Wight in England looking to win races. She challenged all English yachts to a match race. No yacht was willing to race her, however. Finally, America joined a free-for-all on Friday, August 22, around the Isle of Wight. 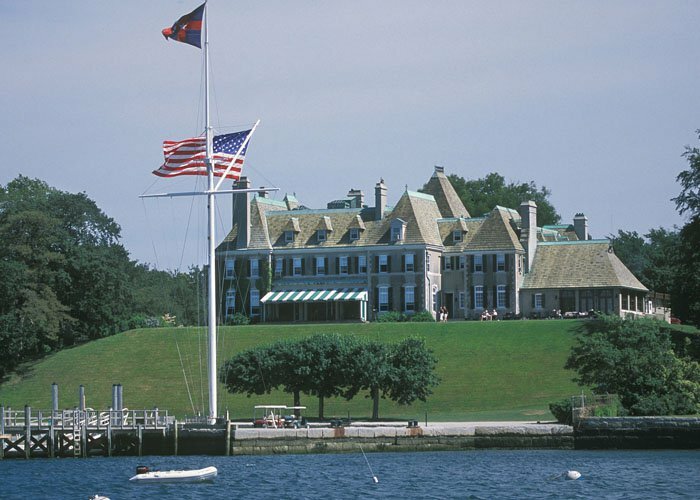 America won the Royal Yacht Squadron’s “Hundred Guinea Cup,” later called the America’s Cup in honor of the yacht that won it. The NYYC defended that trophy from 1870-1983.